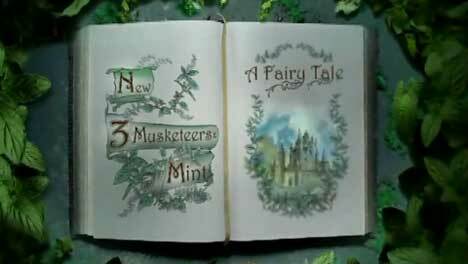 3 Musketeers Mint, a Masterfood confectionery, is presented in a fantasy context in Fairytale, a television commercial. The fairy tale format plays with the concept of light – with a woman in princess gown chasing flying lights through a dark forest. 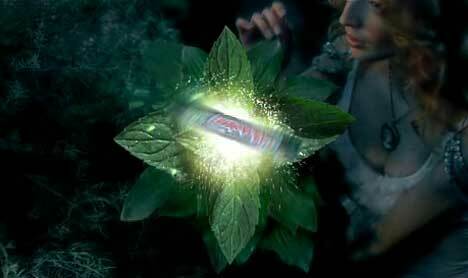 She finds the chocolate bar in a glowing light nestled in a mint plant. Fairytale was developed at Uniworld Group, New York, by creative director Robert Shaffron, associate creative director Sharon Dandolfo Perez, copywriter Lisa Lleewellyn, producer Marjorie Clarke. Filming was shot by director Kathi Prosser from The Sweet Shop, NZ, with director of photography Adam Marsden, and production designer Alan Fellows. Editor was Tanis Darling, at Relish, Toronto. Post production was done at Spin.